The health of farmed salmon in Canada can be threatened by infectious diseases caused by viruses and bacteria. The quality of feed can affect salmon health and impact their ability to withstand infection, but currently there is no way to measure how effective it is apart from growth rates – if fish grow bigger, faster, then presumably the feed is effective. This project seeks to develop tools to better assess salmon health by examining their genes. 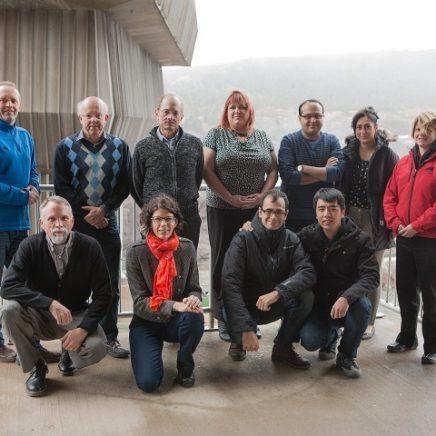 Scientists at Memorial University and EWOS Innovation will jointly develop a platform to quantify the expression of multiple genes related to health and performance, using a single biological sample.The team will use genomics technologies to assess the effects of various diets on fish health at the molecular level. The highly-detailed information will help EWOS Innovation fine-tune feed formulas that include non-marine products such as land-based plants to maximize fish performance and to develop clinical feeds that will combat the diseases that are currently reducing salmon numbers. Within the life of this project, EWOS, one of the world’s largest producers of aquafeeds, will be able to commercialize new, high-quality feeds that help to promote healthy fish. The research will strengthen salmon aquaculture in Canada, in particular by reducing disease among farmed salmon. In addition, some project results will be shared as intellectual property, supporting growth in the sector. Finally, a focus on the use of Canadian raw materials in developing the feeds will also strengthen the feed supply industry.